There are more renters than there have ever been in over 50 years. The type of experience one has with renting can vary greatly. That goes for both apartments and home rentals. The questions to ask when renting a house can save you a lot of time and money. Whatever you do, don’t get stuck in a lease agreement that you either can’t or don’t want to commit to. A bad rental decision can really put a damper on your life, so before you get sold an idea, do some investigating. These are the ten questions to ask when renting a house that will help protect you from bad deals and restrictive living situations. Is the landlord including any utilities in the rent? Are gas and electricity in your name? What about cable and internet? The most common scenario is water and sewage included in the rent, while all other utilities are your responsibility. If other utilities are included, make sure the landlord isn’t gauging the rent unfairly. The convenience of not having to pay those separate bills yourself may not outweigh higher charges. What Interior Modifications are Allowed? Renting can make it difficult for tenants to really make their space theirs. Most landlords won’t allow you to paint walls, put up wallpaper, or even nails beyond a certain size. If you don’t like the cabinets or floors? Tough. Once in a great while, you will come across some rental properties that are more lenient. Usually, the loosest rules imposed just want your remodels to look professional or your modifications to be easily reversed. Of course, you would be responsible for all the costs involved with remodeling. What is the Subletting Policy? Sometimes you won’t be able to get an exact quote on subletting rules until you see the lease terms. Either there is a no-tolerance policy or restrictions on the length of time someone can stay until it must be legally bound. When it comes to AirBnB prospects, there shouldn’t be any issues with the length of stay. You may come across landlords who don’t like AirBnBs either, for whatever reason. Make it clear that you intend on renting the space out so there isn’t any chance for confusion later on. Don’t just assume all landlords follow the same screening process. Ask them if they require a screening fee on top of an application fee. Some landlords can be sneaky about this and separate their fees because they know they’ll get a ton of applications. Also, inquire about their credit inquiry. Ask what the minimum credit score they’re looking for and see if they do a hard or soft query. If they don’t know the answer, ask them to find out before applying. How Soon Do They Require Move-in Date? One of the first questions to ask when renting a house is “when can I move in?” This should let you know how soon they want someone to move in, whether you’re ready or not. If you can’t move in soon enough, then ask them if it’s a deal-breaker. Unfortunately, many landlords are looking to fill these units as fast as possible, so they will move on if applicants can’t put money down on a specific date. Of course, if you have the money, you can do just that while you get yourself ready to move. What are the Early Lease Termination Terms? It shouldn’t be the end of the world if you break a lease. Depending on the greed of the landlord, it might feel like it. Ask about how much it would cost you to break a lease: is it a predetermined amount or for the remaining value of the lease? If they refuse to provide clear lease termination terms, then you could be setting yourself up for trouble. What’s the Policy on Pets? Even if you don’t have a pet right now, it’s always smart to ask what is allowed. You never know if your friends or family will ever want to stay over with their pet. Most landlords have an upfront fee you pay on top of the deposit. Sometimes they tack on a monthly fee to your rent, which can get very expensive on a multi-year lease. Dogs can cost more than cats to keep, or banned altogether. One thing is for sure, if you do have a pet in your home, do your best to make them comfortable. Avoid scratches and claw marks at all cost if you don’t pay that pet deposit. Should you expect rent hikes? Of all the questions to ask when renting a house this one should not be forgotten. As we said at the start of this guide, renting is at a 50-year high. Demand is high, therefore rent will continue to climb for major areas. Ask the landlord upfront how often they raise the rent. If it is something that they do every year at the end of every lease, you could end up feeling trapped. It might be tough to uproot yourself after investing so much in the community. A few years of rent hikes could force you to lose everything you’ve grown attached to. Living in a nice luxury apartment become a lot less luxurious when you have to battle for parking spots. Street parking situations can get expensive and frustrating, so that’s not something you should rely on. Will your landlord provide personal parking spaces or passes? If it is going to cost you a monthly fee to park by your home, you should be including this in your budget. Is there a maintenance person that will be available on-call? Don’t get stuck in a situation where you can’t have access to emergency maintenance. Having to go through the landlord for every repair or install will get old fast. Some rentals leave this up to the tenant completely and offer reimbursement for any repairs done via third parties. That’s not the most ideal situation, but it is one of the most tenant-friendly. These ten questions to ask when renting a house are important. You will probably have quite of few of your own personal questions during the interview process. The layout of the property, scheduled visits, access to amenities, and so forth. Just don’t be afraid to ask lots of questions before committing. It’s not a sign of lacking in confidence, this is just being a smart tenant. 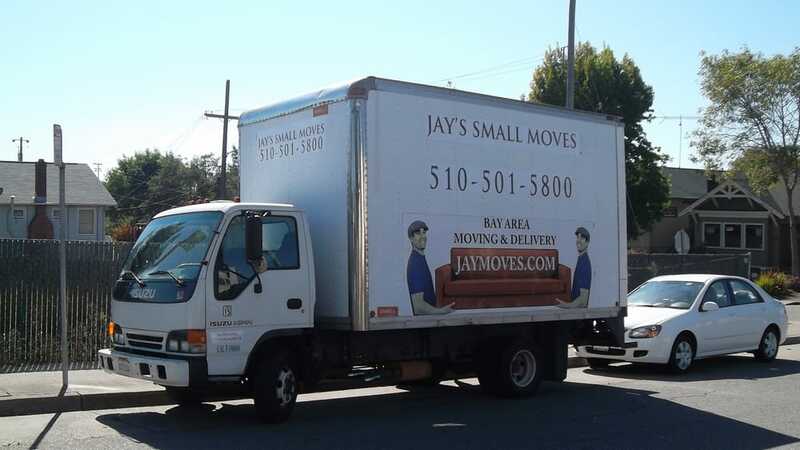 If you have some questions about moving into a new place, feel free to contact us. Moving day can be stressful without the proper help. We’ll help make that transition as painless as possible.